St. Moritz/Munich, 23rd January 2019. Millions of guests from all over the world have decided: Badrutt’s Palace Hotel is the Top of Switzerland! Today TripAdvisor, the world’s largest travel site, announced the winners of its Travellers‘ Choice Awards for Hotels and recognized Badrutt’s Palace Hotel as #1 in the category “Top Hotels” as well as #1 in the category “Hotels with the best service”. TripAdvisor, the world's largest travel site, offers 702 million reviews and opinions covering the world's largest selection of travel listings worldwide – 8 million accommodations, airlines, experiences, and restaurants. TripAdvisor also compares prices from more than 200 hotel booking sites so. TripAdvisor-branded sites are available in 49 markets, and are home to the world's largest travel community of 490 million average monthly unique visitors. 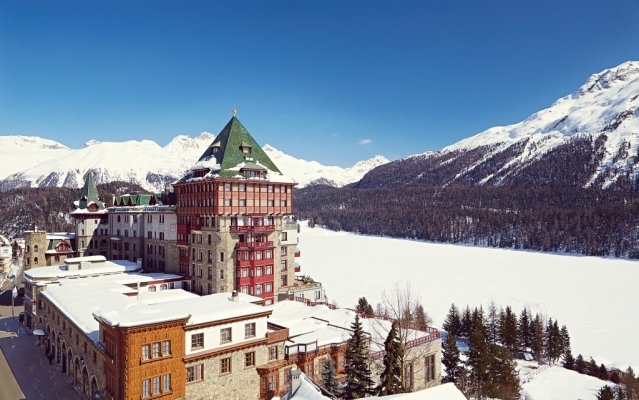 Experience legendary service and an enchanting atmosphere in the heart of St Moritz. Unrivalled and unexpected eating and drinking meet a unique sense of belonging in a historic and iconic mountain resort. A celebration of style, sports, culinary and wellness adventures 6,000 feet up in the Swiss Alps. In winter, the Badrutt’s Palace Hotel is the perfect starting point to explore one of the world’s most exciting ski regions. In summer, alpine and spa activities abound in the sun-soaked Engadine Valley. The Badrutt’s Palace Hotel opens its doors for the winter season 2018/19 from 1st of December 2018 until 31st of March 2019.